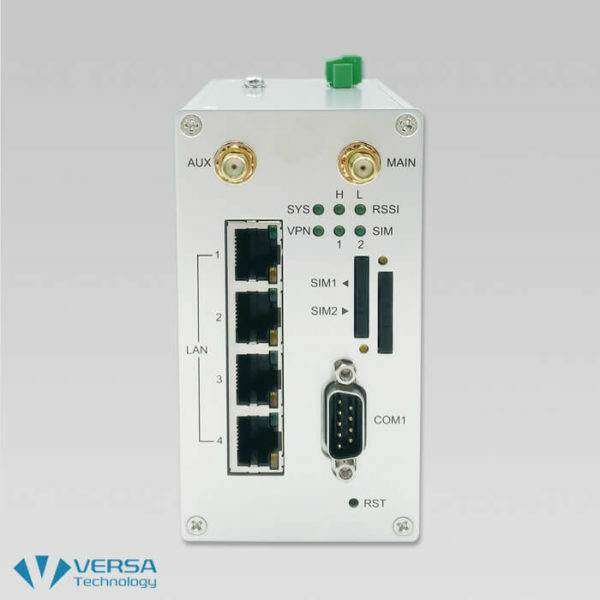 Versa Technology’s VX-FL-302L is an industrial-grade 4G LTE Cellular Router with 4-port 10/100 Mbps Ethernet interfaces for mission-critical cellular communication. 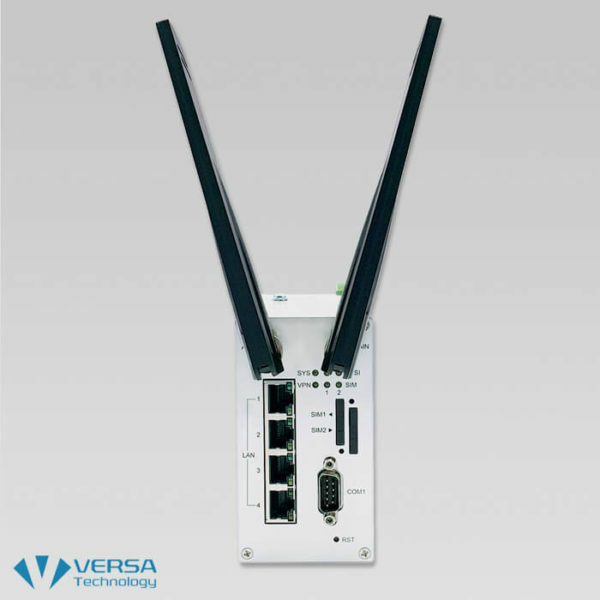 Featured with powerful network protocols and VPN tunnels, Versa’s VX-FL-302L Industrial 4G LTE Cellular Router provides secure and reliable applications for mobile, M2M (Machine-to-Machine), and Industrial Internet of Things (IIoT) deployments. To fulfill the market demand, Versa’s VX-FL-302L 4G LTE Cellular Router is built with hardened industrial components, approving severe HALT (Highly Accelerated Life Test) certification and wide operation rage from -20 to 70°C for harsh environments. With the user-friendly interface, the VX-FL-302L enables fast and easy configuration to reduce complicated settings. 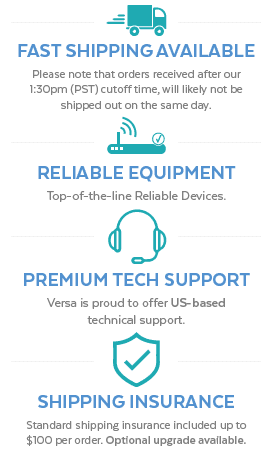 Versa Technology honors its products that Versa and it's partners engineer and manufacture. Our products sold are of the highest standards available. All products come with a THREE year limited warranty on all products sold by directly by Versa Technology, unless specifically stated otherwise on our product documentation. This warranty period of three years applies from the ship date to all our products which are purchased legally and owned by the original customer. If you have purchased the product from a reseller you must contact the reseller directly. Should repairs fail to recover the product Versa Technology will replace the product with a similar product or a suitable replacement. Other information is as follows.